We've been in our house since mid June and things are slowly but surely coming together. This is the longest it has ever taken me to unpack after a move but with immediately working on projects, things have gone slower this go around. I did complete each of the girl's rooms as quickly as possible to try to make things as normal for them as possible again. This is their first move, with many more to go, and I know they really didn't understand what was happening so I wanted to get their rooms done quickly. Today, I thought I would share Miss P's room with you. 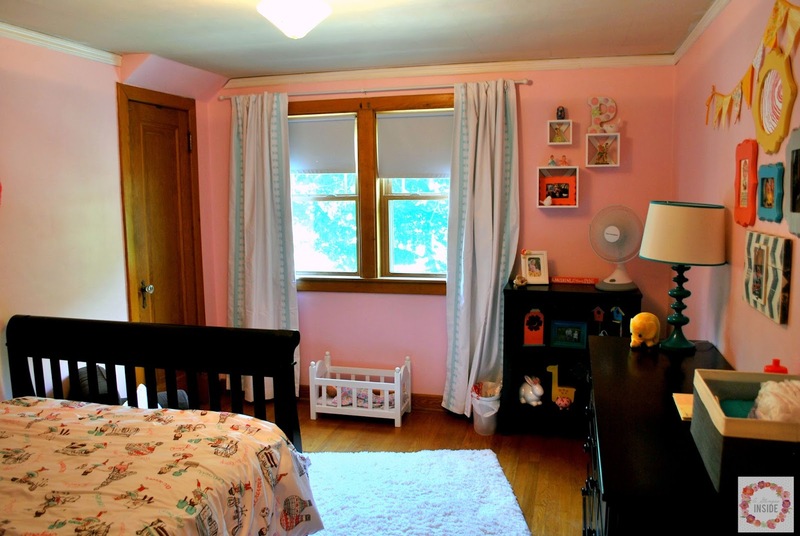 Here is what her room looked like before. This was right after we closed on the house hence the air mattress on the floor. 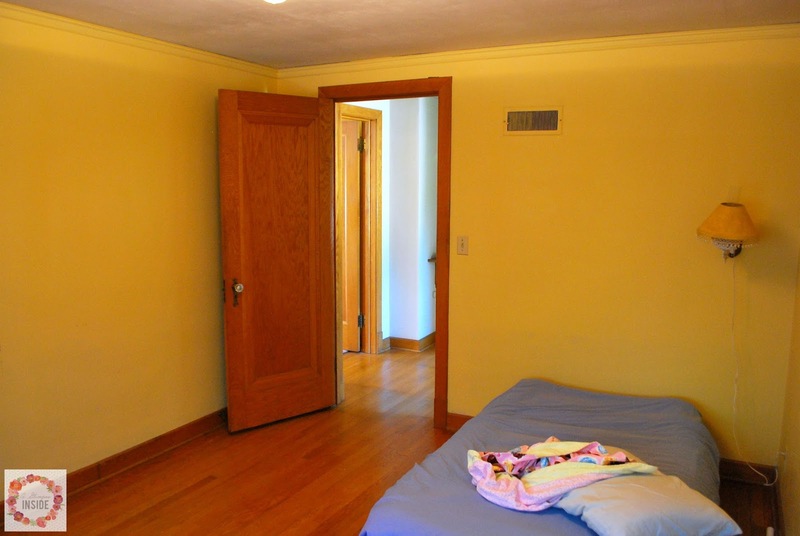 The previous owners used it as a guest room and had the walls painted yellow. Definitely needed a freshening up! Miss P is to the age where she has an opinion now so she decided what color her room would be and she even picked out her own bedding and she even help me place some things around her room. She's a little girl. 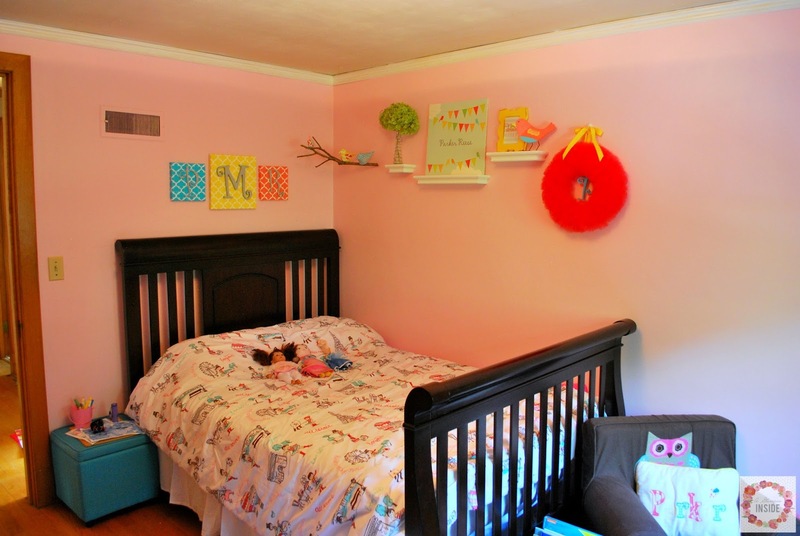 Her favorite color is pink so of course she picked pink for her new wall color. We painted her room the day after we closed on our house before all our furniture was here and she was thrilled. We converted her bed into her full size bed so we had to get all new bedding for her bed. Took her to Target and let her pick out whatever she wanted and she picked the Circo Travel Comforter set which I was excited about because I saw it online and totally wanted that one for her room. It is really cute with different Parisian scenes on it. I reused the decorations from her old room just had to buy a couple floating shelves to place them on. 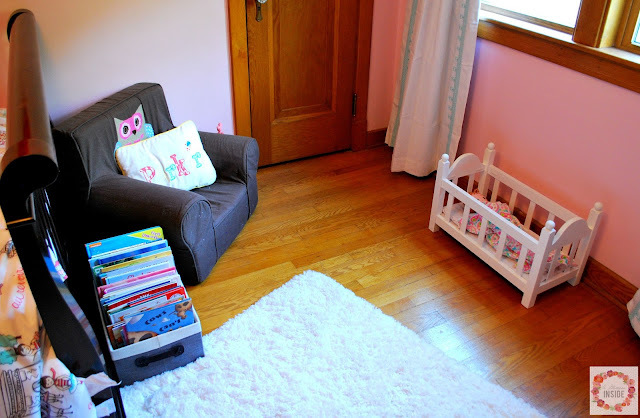 At the foot of her bed, I placed her small chair with her tote of books and then the doll crib my dad made her sits in front of her windows. Next to her window I placed the shelf that used to be in her room and a lot of the decorations that were in there are still on her shelf. I again bought some square shelves from Target to hang on the wall above to place some of the more fragile items that I didn't want her to try to play with. Not having the picture ledge in her room this time threw me and I had to figure out what to do with all these small items but I like the way it all turned out. 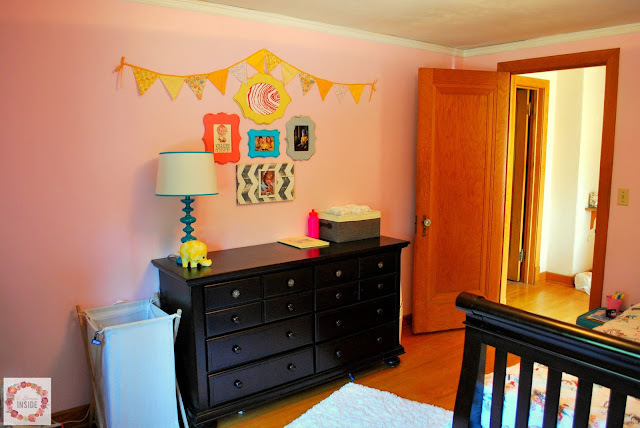 Her dresser is on the wall right when you walk in the door and since she is now potty trained, no need to put the changing table back on top of it. I still have a tote on top for pull ups that she wears at night still but other than that, it was nice to put her lamp on it and use it as a normal dresser. 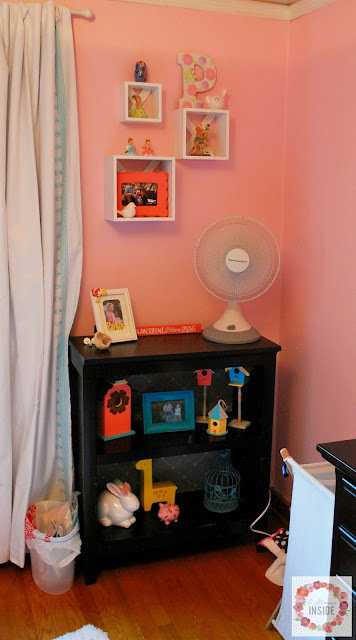 I used the frames from her old room and created a gallery wall above her dresser along with the bunting I had in her old room above her dresser. We just bought a white fluffy rug for the floor and I had to buy some new curtains for her room since her window is much bigger than her old one and I love the ones I found from Pottery Barn Kids. The aqua embroidery matches the color in her comforter perfectly! I really like how her room came out and of course she loves it and that is all that matters! There may be a thing or two I will add or change but right now, it is perfect for her! Such a pretty room, and she must love it. That little chair is so cute.